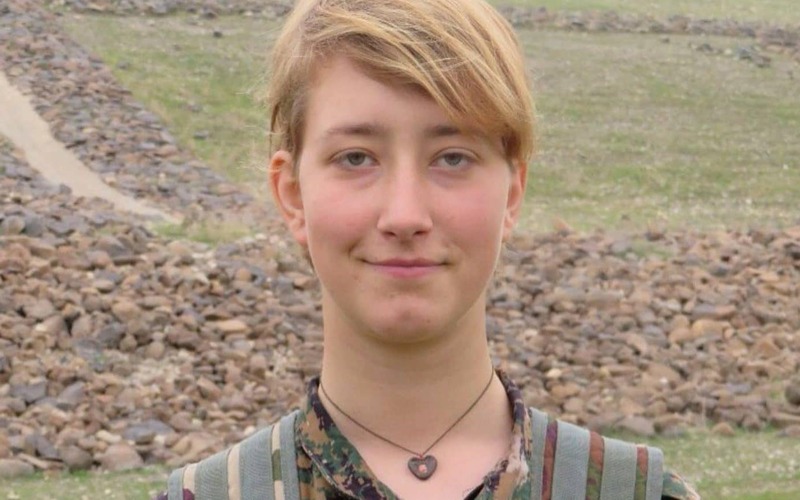 Anna Campbell, from Lewes, England, has died fighting in the Kurdish Women's Protection Units ("YPJ") in Syria; she was likely killed by a Turkish airstrike. She was 26. I met Anna at some of my UK signings; she was a fan of my books. I never got to know her well, but I'm moved by the tributes of her family and friends, who describe her burning need to make a difference in the world and fight for justice. Anna trained and certified as a plumber before leaving the UK. The YPJ is an all-woman brigade within the Kurdish YPG, a group that fights ISIS. They are classed as a terrorist organization by the autocratic Turkish government, which has a long history of ruthless violence against the Kurdish independence movement. Anna had been fighting with the YPJ since last May. He said his daughter was an "incredibly principled, brave, determined, committed woman" whose death had left him "in pieces". "She was determined to live in a way that made a difference to the world and she was determined to act on that and do whatever it took," he told the BBC. "She was prepared to put her life on the line. There aren't many people who do that. "In retrospect I think that I probably should have done more to dissuade her (from going to Syria) but I also knew that she would never have forgiven me if I had actively prevented her from going. "I couldn't affect or try to influence her own perceived destiny. It was the most important thing in life for her."